Essentially a mouthpiece for singer and songwriter Leonard Dillon, The Ethiopians were one of Jamaica’s most influential vocal groups during their heyday. Not only did the original trio of Leonard Dillon, Stephen Taylor and Aston Morris spearhead the transition between ska and rock steady, Dillon’s heavily Rastafarian lyrics also paved the way for the socially conscious roots reggae era that was to come. Born in Port Antonio in 1942, Dillon grew up in a Christian family and discovered music through the church. Having written a number of original songs, he moved to Kingston in 1963, but finding the going difficult, he returned home for a time. The following year, he made the move back to Kingston permanently and not long after he met Peter Tosh who liked his original material and introduced Dillon to the rest of the Wailers. The Wailers in turn brought Dillon to Clement ‘Coxsone’ Dodd’s famed Studio One, where he made his first recordings under the name Jack Sparrow. Four tracks were produced that day: Ice Water, Bull Whip, What You Get You Must Take and Woman Wine And Money, with the Wailers providing harmonies on all but the latter, which also featured a young Delroy Wilson. Two Jack Sparrow singles saw release in 1965: Ice Water and Suffering On The Land. Around the same time, Dillon discovered a street-corner singing duo consisting of Stephen Taylor and singer/guitarist Aston Morris. 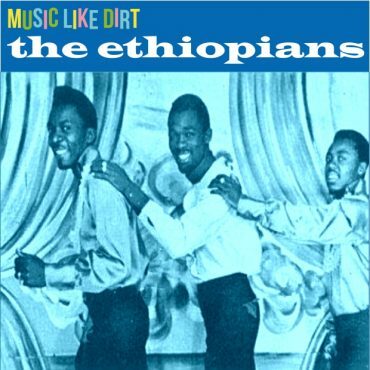 At first, he invited them to sing backup for him, then decided to form a full-fledged group called ‘the Ethiopians’. Together they cut several excellent singles for Studio One in 1966, including Free Man, Live Good and the ska/rock steady-bridging, Owe Me No Pay Me. Morris, a songwriter in his own right, elected to leave the group by the end of 1966, reducing the Ethiopians to a duo. Meanwhile, Dillon, while working a day job in construction met another singer there named Albert Griffiths (later of the Gladiators), and after striking up a friendship, the pair convinced their employer to finance a recording session. The result was the breakthrough smash hit, Train to Skaville, which saw issue on the WIRL label in Jamaica and on Rio in the UK, where despite lack of radio airplay, made the lower reaches of the UK Top 40. With this success under their belt, the Ethiopians recorded prolifically over the remainder of 1967, cutting hits such as Engine 54, Train to Glory, Stay Loose Mama and another big smash in the percussion-driven The Whip; with all but the former produced by Sonia Pottinger. 1968 saw the release of their first LP, Engine 54 and the arrival of a semi-official third vocalist, Melvin Reid. Toward the end of that year, the group teamed with producer Karl ‘Sir J.J.’ Johnson in what would become their most celebrated association. Their first hit for Johnson was Everything Crash, a socially conscious, rhythmically jerky juggernaut that became arguably the group’s signature tune. Through 1969, Johnson and the Ethiopians collaborated on numerous other ground-breaking hits, including What a Fire, Gun Man, Hong Kong Flu and Woman Capture Man (the title track of their third LP), but the restless Dillon also had the group record for a succession of other labels and producer during this time. Among those for whom they also worked over the next few years were Harry Robinson (Fire a Mus Mus Tail, Reggae Hit The Town), Lloyd Daley (Satan Girl), Derrick Harriott (Lot Wife, No Baptism, Good Ambition), Coxsone Dodd (You Will Want to Come Back) and Duke Reid (Pirate), while a self-produced session resulted in Things A Get From Bad To Worse. As the group evolved into a rootsier reggae outfit over the next few years, all the producer-hopping grew even more frantic over the next several years, with Vincent Chin, Prince Buster, Joe Gibbs, Bob Andy and Rupie Edwards numbering just some of the group’s many collaborators. Part of the reason behind this label-hopping was Dillon’s dissatisfaction over the paucity of past royalty payments, which resulted in a need to constantly try and make money. Taylor’s untimely death effectively spelt the end of the Ethiopians’ golden age. Dillon, understandably distraught, took a hiatus from music for two years. He finally returned in 1977 when, along with fellow Ethiopians, Bro Fatty, Bro Ewin, Bro T, Mellow and Hytchi Dread, he recorded the excellent Slave Call album with producer Winston ‘Niney’ Holness. Dillon subsequently toured on and off as the Ethiopians, with female vocalists Jennifer Lara and Merlene Webber supporting. Later, he put together a new line-up featuring female backing vocalists and arrangers, Sister JiJi and Gina Murrell, who appeared on the 1999 album Tuffer Than Stone. Meanwhile, early in 2011, Leonard Dillon, the Ethiopians’ leader for so long was diagnosed with a brain tumour and while an operation to remove it seemed successful, by the summer he fell seriously ill again, with doctor’s diagnosing lung, brain and prostate cancer. On 28th September, Leonard sadly passed away, aged 69, leaving his widow Sylvia and seven children to protect his legacy.